Are you suffering from cancer or the after-effects of treatment? Would you like to share with others who are on, or who have been on, a similar journey? 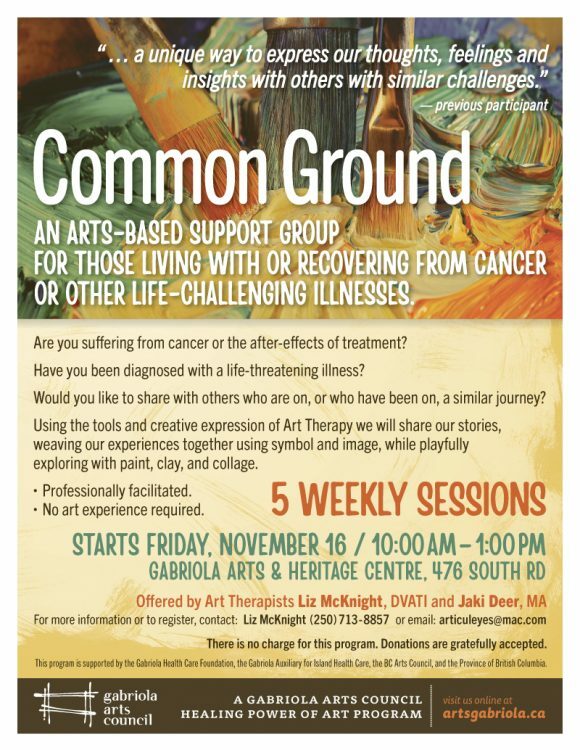 Using the tools and creative expression of Art Therapy we will share our stories, weaving our experiences together using symbol and image, while playfully exploring with paint, clay, and collage. Professionally facilitated. No art experience required. Gabriola Arts & Heritage Centre, 476 South Rd.